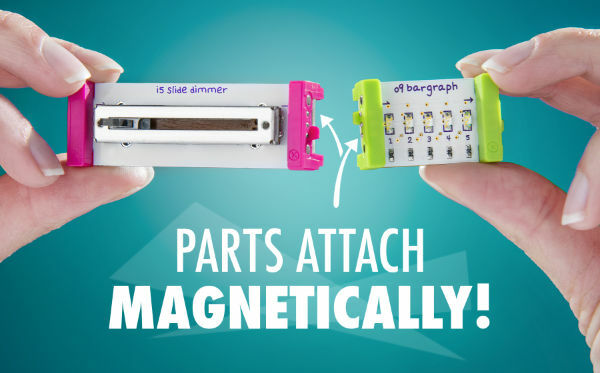 Bring an entire Science Fair worth of inventions into your home with LittleBits Gizmos & Gadgets, the invention kit that lets you make things that do things. Without schematics or soldering, the toolkit of modular electronics gives future engineers the freedom to rapidly prototype things that work. Gizmos & Gadgets is loaded with power sources, inputs, wires, and outputs that can be arranged and rearranged in millions of combinations to make all sorts of machines. 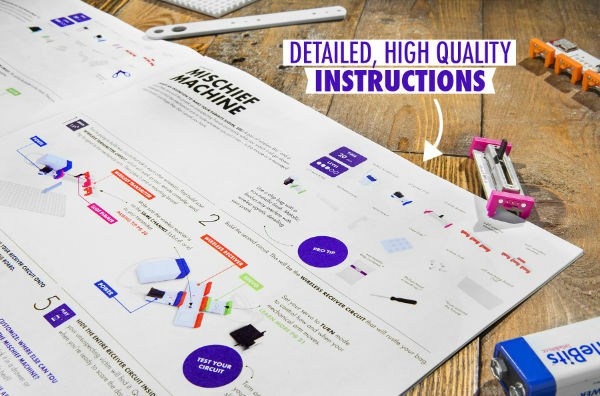 Use the included guide to build complex circuits in seconds to fashion your own RC car, wireless doorbell, desktop pinball machine, or use your imagination and come up with something totally original. Pick up the ultimate invention toolkit and encourage kids to create something amazing. LittleBits is a system of circuit building blocks designed to help you realize your ideas in no time. Traditional circuitry has a lot of barriers between an idea and an invention. You have to plan and draw the circuit, get a silicone breadboard, and painstakingly solder a bunch of wires and components to it. 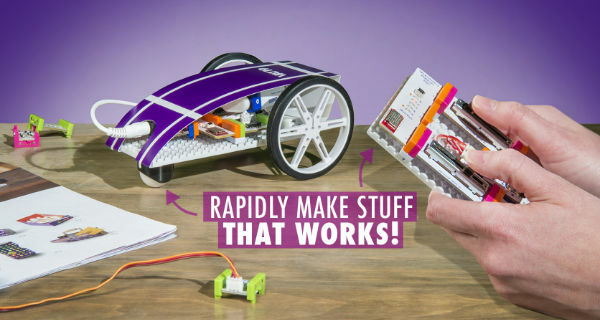 LittleBits reimagines the system with modules that magically snap and stay together, so your inventions instantly work. 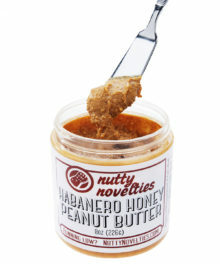 Rapid prototyping has never been so awesome. Solder is harder to use than it is to spell. Lucky for you, you won’t need it (thanks, LittleBits)! Each module in the kit firmly connects to the next using a pair of rare earth magnets. The pair’s polarity makes certain that you connect the modules the right way every time and complete the circuit. They’re strong enough to stay together, but you can still pull them apart again to add more modules or repurpose them for a new invention. Welcome to the future of invention. 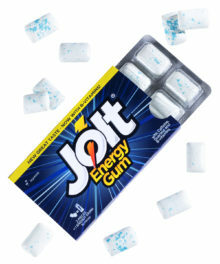 In addition to ease and speed, magnetically connecting modules have another advantage. You can disassemble earlier inventions and reuse the parts for something new. Create a bubble machine, turn it into a car, then take the whole thing apart and make a wireless security alarm. 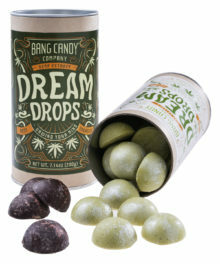 Make what you can imagine. Then make something else! 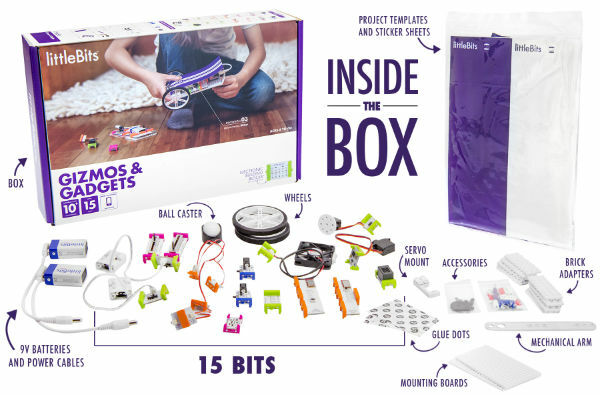 Starting off with an open set of unlimited possibilities can seem intimidating, so LittleBits Gizmos & Gadgets includes a book filled with clear instructions to give you a start at creating twelve inventions. Each of the full-colored project instructions also includes a way to repurpose the invention to make something new. Once you’ve used the guide to show you the power of each module, it’s time to take the training wheels off and make something entirely new. Learn from the creators. Then head out on your own and create something. 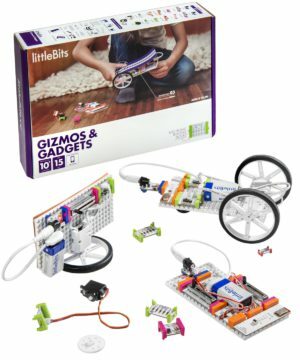 LittleBits Gizmos & Gadgets includes a collection of fifteen modules that convert battery power into electricity, switch it on or off, move it from here to there, and use it to make something happen. Forty-eight accessories help you add in other elements from off your shelf (like Lego bricks, paper and cardboard, and even Tiny Hands) to make your inventions more creative than ever. Everything you need to make something that does something. Question: What age group is this appropriate for? 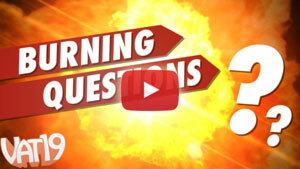 Answer: The manufacturer recommends LittleBits Gizmos & Gadgets for ages eight and up. Question: Does it have enough material to make all the projects at once? Answer: There are practically an endless number of ways to use LittleBits to create new inventions, which isn’t possible to do at once with the included modules. You will need to re-purpose parts from some of the gizmos in the instruction manual to create other gadgets in the same manual. 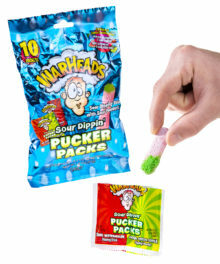 However, you can always put them back together again. Liquid-free, reusable touchscreen display cleaner.